It is estimated that the size of the global packaging industry is about $825 billion whereas the Indian packaging industry will be around $24.6 billion by the end of 2018. The annual growth rate of global packaging industry is about 5-6 percent whereas the Indian packaging industry is growing at the rate of 11-13 percent per annum. An important part of packaging are labels. We all know how important labels are for any product. It is the first step of getting your package seen or noticed. Eye-catching labels have become a norm as there is so much competition all around. Then, they have to be informative as well as innovative. There are so many innovations happening in labels. Digital codes printed on labels can help improve transparency of traceability, besides allowing consumers to access additional information. Moreover, brand owners can capture specific customer data through them. Augmented reality is another new feature being added to certain labels. It is a win-win situation for all. Flexo is regaining attention. Digital printing is making strong inroads into packaging. In this scenario, Labelexpo India is being held from November 22 – 25, 2018 at India Expo Centre & Mart – Greater Noida (Delhi NCR). 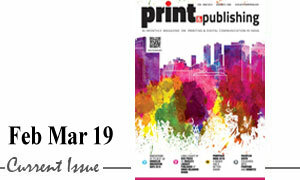 It will feature the latest technologies from the fastest growing sector of print, which is packaging. 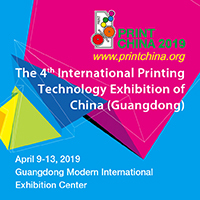 There will be live demonstrations of state-of-the-art presses, as well as smart technology, finishing units, inks, dies and substrates from the leading manufacturers. 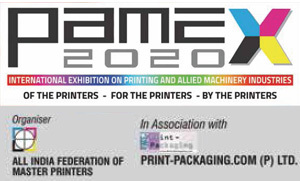 With so much happening in the packaging industry worldwide, it is a must-attend event for all printers, who have either ventured into packaging or are planning to do so. Also, it will be networking platform for all those engaged in the industry. Brand owners can come and see the latest available in this segment. Printing shows across the world seem to be growing as well. drupa 2020 is experiencing a strong demand for exhibition space. Shortly after the official registration deadline, 96 percent of the planned 160,000 square meter space has been already booked! The future of printing looks promising!